The Bubbly shower gel has a lovely list of fresh ingredients including sweet wild orange oil, lime oil and grape juice. This give the shower gel a very fresh fruity scent which is very refreshing and packs a punch. If your looking for a shower gel to wake you up in the morning this is defiantly one for you. Some of you may recognise the scent of this shower gel as the celebrate scent which is also found in my favourite Golden Wonder Bath Bomb. 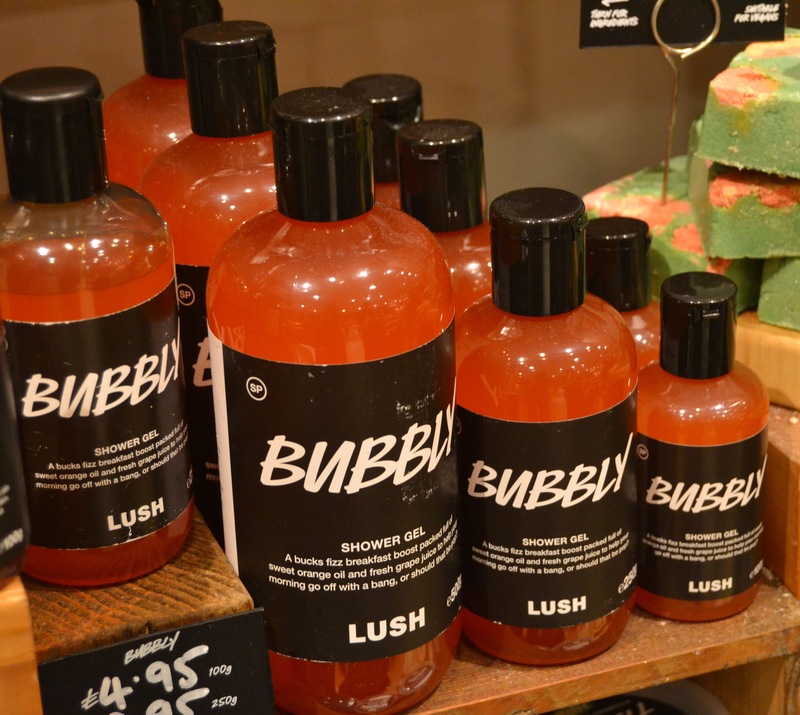 Lush have reformulated their shower gels to reduce the inclusion of large amounts of preservatives. They have done this by reducing the amount of water in the product. This mean that the shower gel is a lot thicker and has a very luxurious feel to it now. 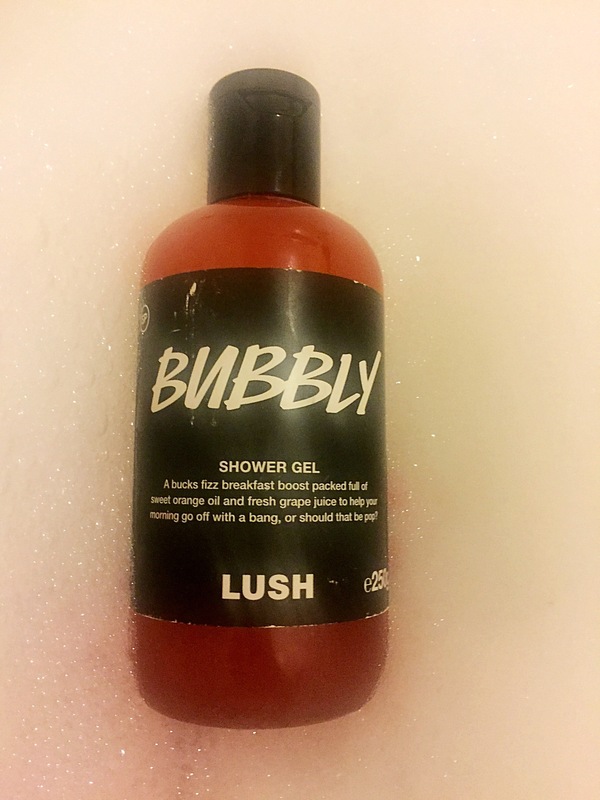 The shower gel lathers very well however you need a lot less of their shower gel than you would normally use or you will end up with an extreme amount of bubbles. The scent of the Bubbly shower gel is beautiful and the scent it’s very strong meaning it lingers on your skin for ages. This is defiantly my new favourite shower gel and I totally recommend trying it while it is still around.